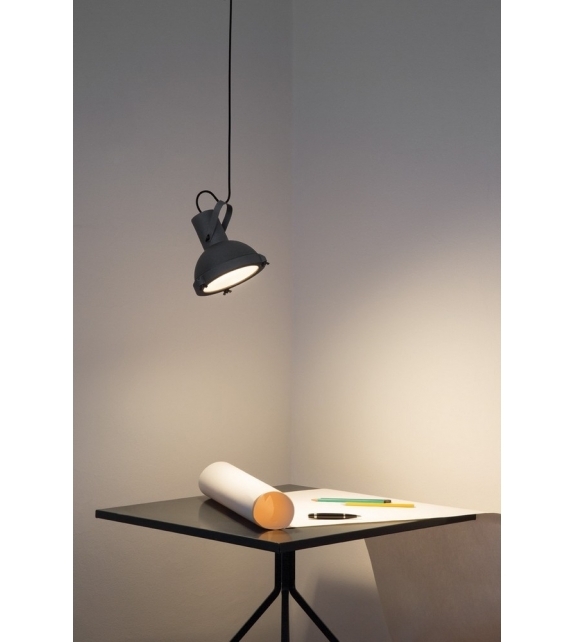 Projecteur 165 by Nemo is a suspension lamp. Mini adjustable version of the Projecteur 365. Available in the clamp, wall and pendant versions. Aluminium body painted in night blue or white sand. Diffuser glass curved and sandblasted in the inner part. Clamp and canopies painted in matt black, screws and small metal parts black chromed. 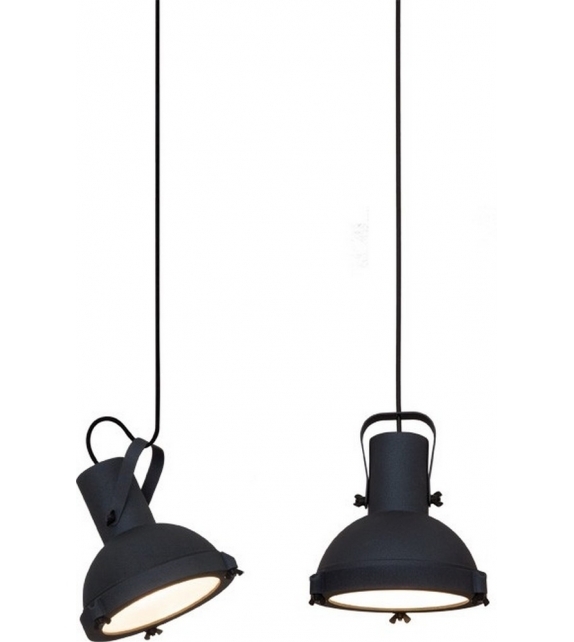 Projecteur 165 by Nemo is a suspension lamp. Mini adjustable version of the Projecteur 365. 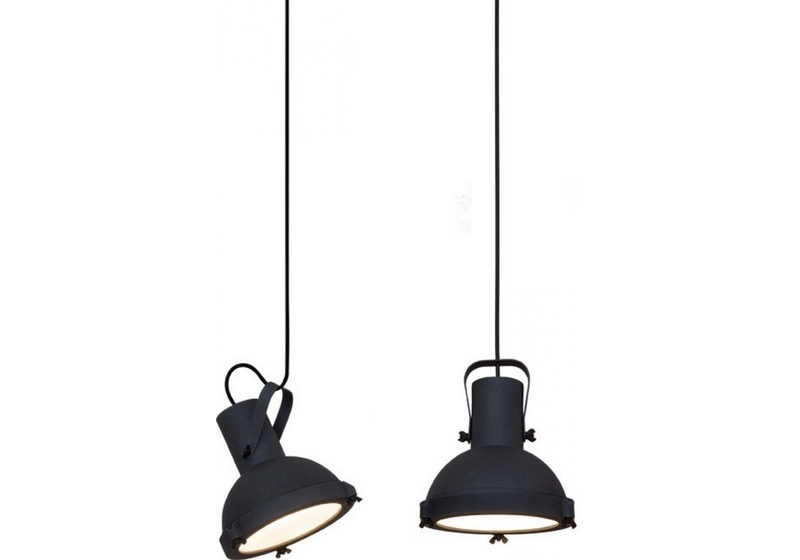 Available in the clamp, wall and pendant versions. Aluminium body painted in night blue or white sand. Diffuser glass curved and sandblasted in the inner part. Clamp and canopies painted in matt black, screws and small metal parts black chromed. Diffused andadjustable light output. 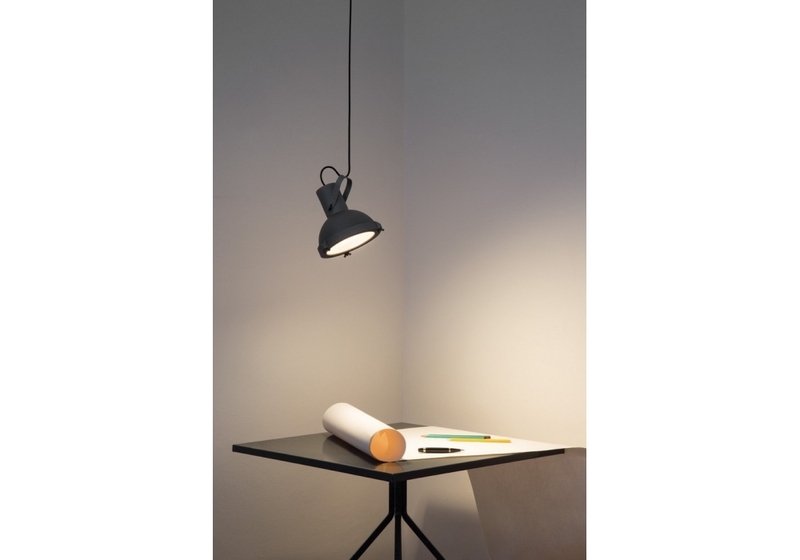 E27 socket allows the use of fluorescent, LED and halogen sources.